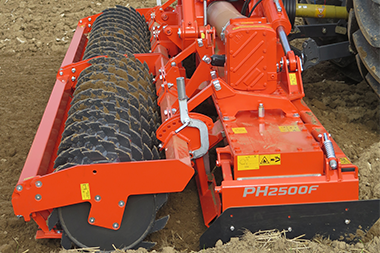 The Kubota foldable power harrow PH2000F with working widths from 4.0, 5.0 and 6.0m. 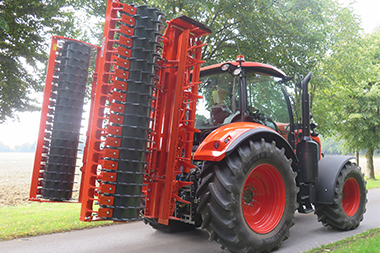 The product range of Kubota power harrows is designed to meet the needs of large-scale farming. Efficient performance with a lower weight. Minimum power requirements and reduced fuel consumption. Great versatility to carry seeding equipment. The innovative trough design without any lateral frame. 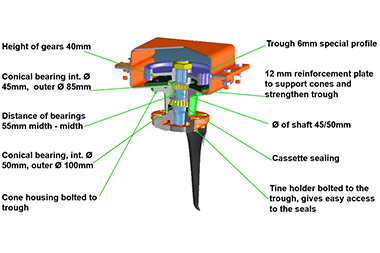 High clearance of 95mm between the tine holder and trough bottom. 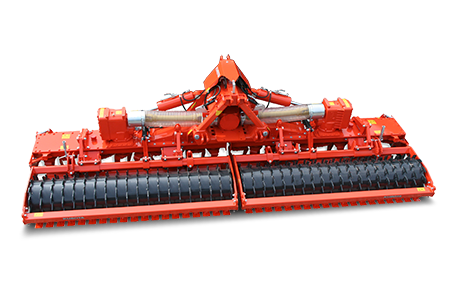 Double conical bearings and rotor shaft of 50mm diameter in combination with removable tine holders and Quick-Fit tines guarantee high reliability and very low maintenance requirements. The quick-fit tines for easy replacement and carbide tines for a longer lifetime and minimum wearing are available. Down time can be minimised due to our carbide layered Quick-Fit tines. 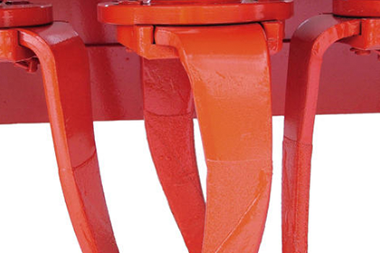 These tines ensure a long lifetime and minimum wearing even in tough and abrasive soils. Tooth Packer Roller dia. 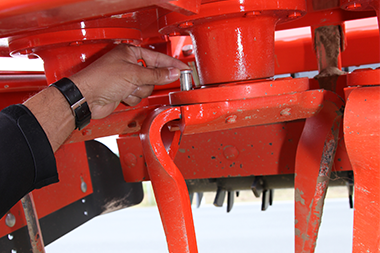 575mm: medium to heavy soil, most versatile roller – especially as part of heavy power harrow/seed drill combination.